IAOMC : It is a non-stock, not for profit association. The IAOMC is committed to peer evaluation of the education provided by individual medical schools anywhere in the world. It is a non-stock, not for profit association. It's goal is to serve society and those with an interest in the evaluation of the quality of undergraduate medical education to enhance medical education/practice. The standards and process will be transparent and the evaluation results available to the public to inspire confidence in integrity of the process and findings. The United Nations Department of Economic and Social Affairs (ECOSOC) granted the IAOMC Special Consultive status as a Non Government Organization (NGO). The United States spends 20 percent of its GDP (an estimated $2.8 trillion in 2013) - on health care system. This makes the US the most expensive on the planet. The United States has a life expectancy of 78.4 years at birth. The U.S, ranks 50th among 221 nations and 27th out of the 34 industrialized OECD countries, down from 20th in 1990. The US Department of Education recognize an International Accreditor. Ways to reduce the cost of Medical Education. 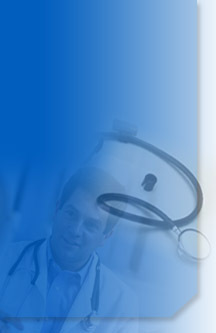 Authorizing Studies on Medical Malpractice and required curriculum. Require openness and transparency in the medical accreditation process. Permitting the continued restriction or delay of the numbers of licensees while witnessing an aging population this shortage is certain to become worse.